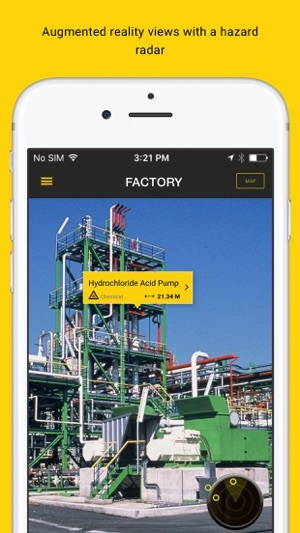 Live, location specific workplace safety information through augmented reality and interactive mapping. 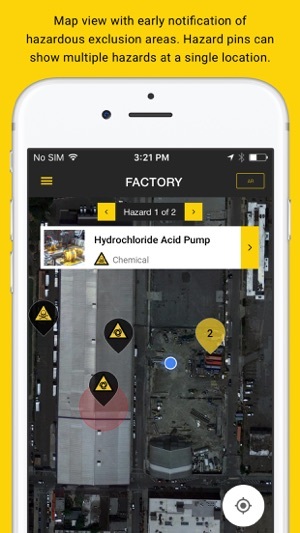 The Safety Compass uses intuitive augmented reality and interactive mapping to communicate hazard information to users in the field. 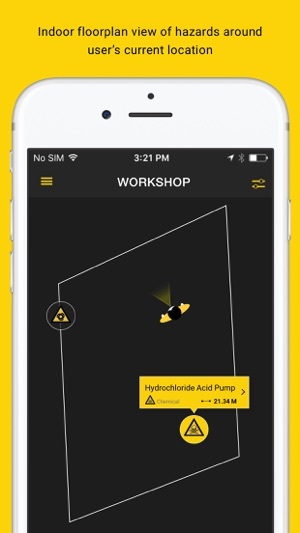 By accessing the worker's physical location, the app presents vital information on present dangers straight to the worker's phone, avoiding the necessity of bulky safety manuals to locate and manage risk. Using the phone's inbuilt camera and GPS system, the app displays real and present dangers to the viewer that adapt and compensate for the viewer's field of vision. User friendly information enhances existing risk assessment practices. The system is fast, efficient and caters for a range of viewer circumstances – overcoming the challenges of reading large volumes of complicated text in dark, shifting, loud or crowded environments. Information usually stored in expansive manuals in site offices follows the viewer wherever they go, slashing the time and effort necessary to assess dangers in the workplace. Workers are able to easily access critical workplace safety information through detailed text, hyperlinks, pdf files and videos. 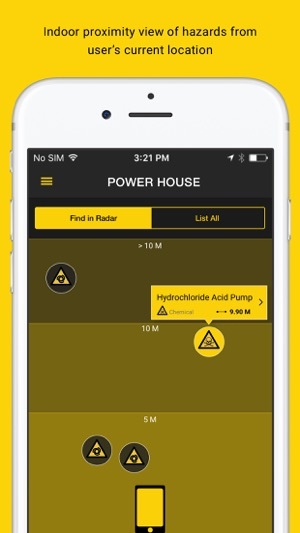 While the app is particularly suited to high risk sites, employees can tailor The Safety Compass to any workplace through a user friendly admin function. 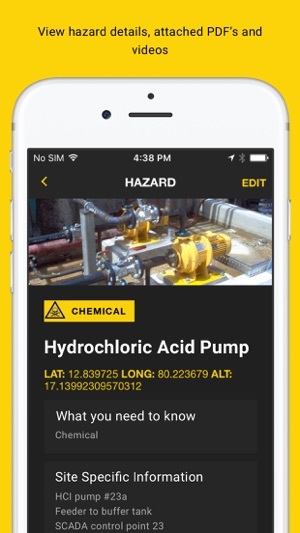 Updates to the admin function can also allow for real time risk communication to field users - a hazard tag can be added within minutes, making new risks live for workers to view.